With that said, all funds received beyond the site hosting and domain renewal fees (via member donation and through amazon.com affiliate rewards) will go to one or more shelters in the form of funds or supplies. 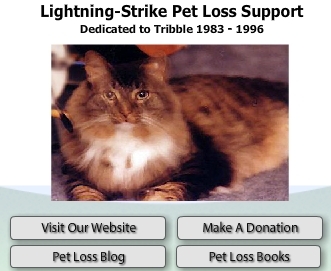 This way, lightning-strike.com can help both pet-lovers in need as well as the animals they love. 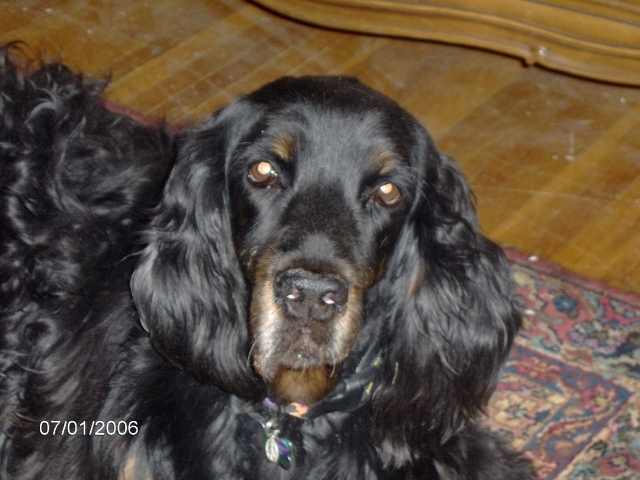 To donate, visit our pet loss donations page. what to do and I didn't know where to go. But, when it was early in the morning, and I was left alone with my thoughts.....it was just too difficult & painful. I missed my girl soooooooooo very much!!!! It might be a nice idea if everyone (who could), donate $1.00, so that the funds will be taken care of for 2005. I was very, very happy to read that "any extra monies" will go to one or more shelters; whether it be in the form of funds or supplies!!!!! God knows that they do a wonderful service, and require so much needed help!! it's just a thought............ They were absolutely wonderful when I needed expert (and quick) advice after Ms. Lucy was recently poisoned. That's all.........just wanted to let you know my thoughts!!! Our Beloved Girl, Ernestine (AKA) "Ernie-Bird"
Forever, you will ALWAYS live on in our hearts! the site has received a paypal donation of $US5.oo today, thank you to the anonymous sender. these funds are important to the upkeep of the site and any overage goes towards our local no-kill shelter.  if you find this site of value and would like to give a donation, please visit the donations page. thank you. Thank you for bringing this thread up. Somehow I didn't see it before. I don't have a lot, but I don't know what I would have done without this site so I made a small paypal donation. Thank you for being there. I too thank you for bringing this post up. I know these things cost, but just didn't think about it here. DUH Guess my mind has been on other things. Thank you so much for being here. My donation wasn't huge, I hope it helps. For some of my Bridge kids. Mommy loves and misses you guys. She remember's all of you, even though it's too many to name each one. I can't wait to see you again. it does help, everything always helps. thanks to everyone for this flurry of donations. i never want to make anyone feel like they need to donate, but it helps come November when the site fees come due. I did my taxes today and did ok so I can spare a few bucks. thanks to the anonymous donor who offered up a gift to L-S of $5.00 today. This donation is made in loving memory of my best buddy, Little Man, (Zoey) on his three year anniversary at the bridge. This website was certainly a lifeline for me in my time of need and I hope our donatons will continue to help keep it available for all grieving pet lovers. Thanks MD for continuing to provide a much needed service. Since I once had a dreadful experience w/paypal (from what I understand, I'm the only one in the world who ever has). Suspicious sort that I am, I was wondering if there is a p.o box or such to send a check. Please advise (or maybe I'll use my husbands credit card ). i have heard more than several people who have had issues with paypal. they have worked hard over the years to become better, i think they have done a good job but you never know! thank you to Twitchit's mom Kim for her generous $100 donation to the website; that will surely go a long way to helping me out and i appreciate it greatly! much appreciation for everybody's help, the site has been paid for another year! a Big Tribble Thank You goes out to John for his donation of $20 to the website. i have updated the tally above to reflect the donations to date. those of you who are using amazon.com to shop for the holidays, we are an affiliate. a percentage of what you spend goes towards the website (i have no idea who is buying what, so no fear to your privacy there). you can 'automagically' help pay the annual costs for L-S.com by clicking here. have a happy holidays!